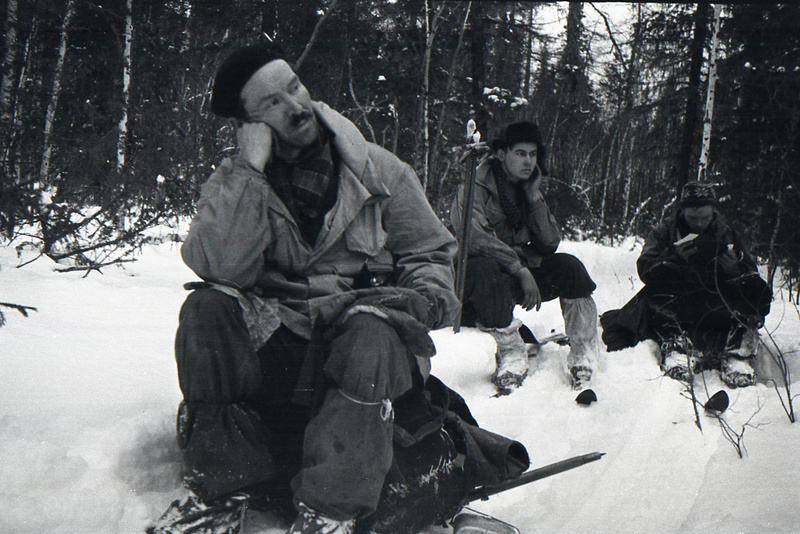 In winter 1959 in the mountains of the Northern Urals, nine hikers disappeared under the leadership of Igor Dyatlov. A month later the rescuers discovered their cut tent. And in a radius of one and a half kilometers from it - five frozen bodies. The bodies of the rest were found only in May. Almost all the hikers were stripped and half-dressed. Some have fatal injuries. It is still unclear why the hikers ran away into the freezing cold to their own death. The oldest participant in the fatal expedition was the 37-year-old front-line soldier Semyon Zolotaryov. We have written more than once about him, as well as why we decided to exhume his grave. Let's just remind you that according to the memories of relatives, during his life Semyon didn't have on his body any tattoos that the forensic scientist discovered at the autopsy. In addition, the face of the deceased on the pass, and designated as Semyon Zolotaryov, was unrecognizable. Therefore, there are still doubts whether they buried him under the monument to Semyon Zolotaryov? In addition, the burial place of Zolotaryov was not noted at all in the register of cemeteries in Yekaterinburg. That is, according to the documents, he was not buried in this city. This prompted Semyon's relatives to ask the "KP" to exhume and establish kinship with the help of DNA expertise. The first test was conducted in May. 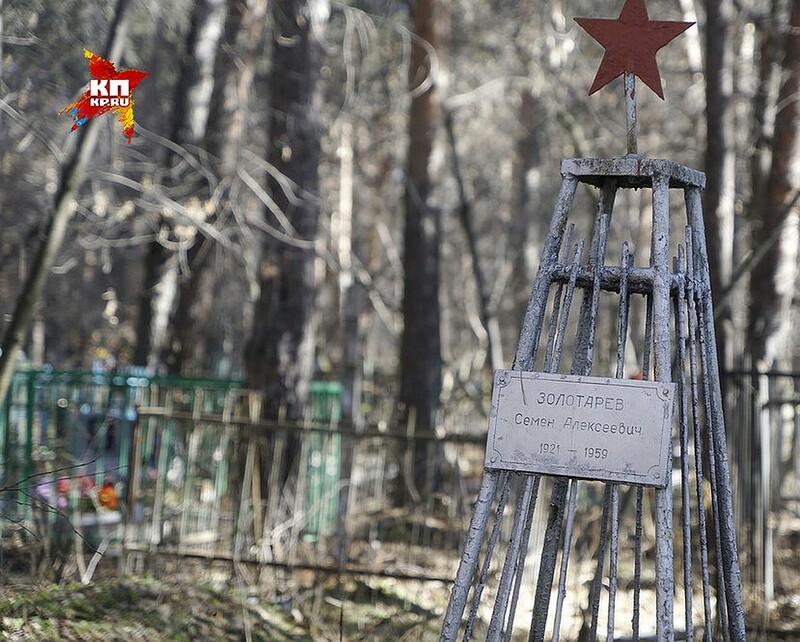 Geneticist Alexei Garkovenko aired the sensational results on Channel 1: "Close relationship between the person buried in the grave and relatives of Semyon Zolotaryov is excluded". We admit that results really took us by surprise. We decided to conduct second analysis. But this time not in a private laboratory, but at the Russian Forensic Medical Examination Center of the Ministry of Health of the Russian Federation (RC SME). The head of the research, Professor, Doctor of Biological Sciences, laureate of the State Prize of Russia, Pavel Ivanov, expert of the Russian Academy of Sciences, commented on the results. It was he who more than 20 years ago developed and introduced into the expert practice the methodology of DNA research. 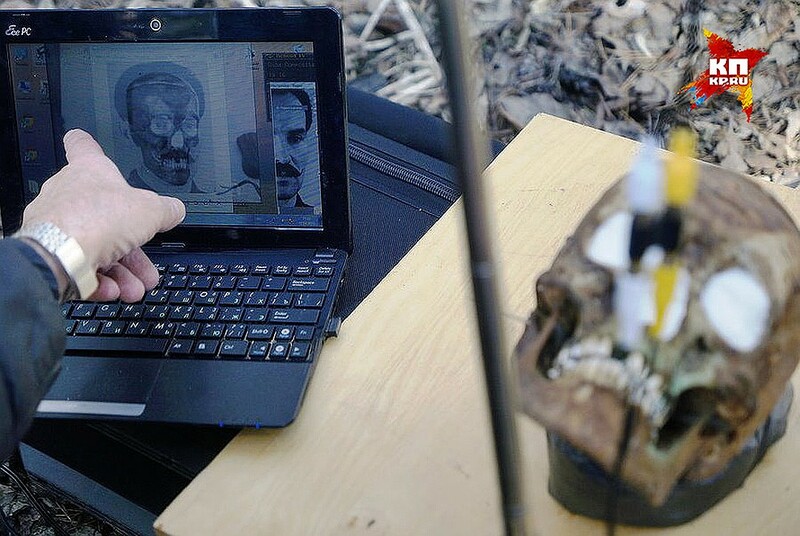 - Pavel Leonidovich, for the testing on Semyon Zolotaryov we use the radius bone and the time of the exhumation it passed several hands. Could a foreign biological material transfer on it and interfere with the DNA testing of the bone? - During the testing, the surface of the bone is removed, and it is unlikely that something has got inside. This is improbable. Everything is washed off, removed, and the material is taken from within. The material is then ground using appropriate apparatus. The result is thin bone powder. This is done in order to increase the surface of the object for genetic testing, DNA. We need as much material as we can possibly extract. It's like coffee. Coffee is grinded before brewing. If you put whole grains in boiling water, you, of course, will get something there, but not enough. Same thing here - the thinner the powder, the higher the yield of genetic material. There are a lot of subtleties. For example, bone splitting should not heat up, otherwise the genetic material will begin to disintegrate. It is already exposed to bacteria in the earth, all kinds of salts, solutions. 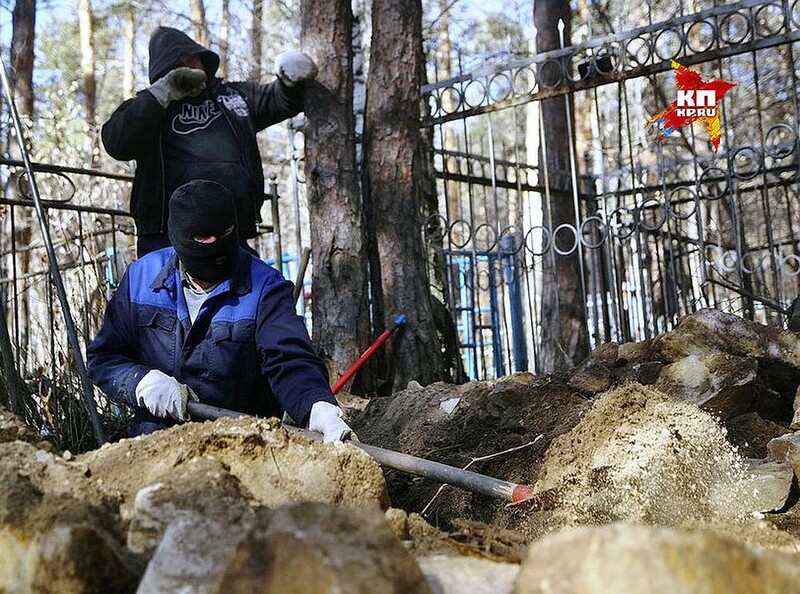 The bone received by the "Komsomolskaya Pravda" during the exhumation is a difficult object. Therefore, we prepared eight samples from it to see the reproducibility of the result, its regularity. How many times will the same combination be repeated. Such analyzes are high technologies, they should be handled by qualified people. And not the students (those who read a lot but learned the material superficially - Auth. ), Who roughly represent what to compare, but do not know the laws of the genre. They could misinterpret some fact. - Did all eight samples produce usable results? - Some did not work at all. The biological material was destroyed. But from two samples of the bone it was possible to obtain the same genotype. And then he was compared to the genotype of Zolotaryov's relatives. By the way, I saw the result of the first testing - there is very bad data. That complex of features, which the expert described, did not reflect anything at all. - You have a color portrait. And there is a television image of the same person with strong interference, as on an old TV set. So the inexperienced specialist says: "I see the face. It has a vertical oval, a straight nose. " And in the picture with a defect, he sees a crooked face, a curved nose, and on the side of the compression. And concludes: "Of course, these are different people". But you need to understand: you can not make a comparison with these data, they are simply unsuitable for work. Well, if the expert does not understand this, he will say: "Yes, these are two different people." The same thing happens with genetic traits. They are localized in chromosomes and are manifested in a certain way. The expert studies, as it were, their virtual image, which is set by technology. But it is not enough to get this image, it is important to be able to work with it. I'm not saying that these experts deliberately try to deceive someone. This, in my opinion, indicates that a person as a whole understands the process, but does not understand in details. This is very often observed in forensics. And because of this illiterate work, the investigation is crumbling. Criminals remain at large or, conversely, innocent people go to prison. So called experts, I think, you just need to sweep through with a broom. But this is difficult. - Research on kinship is conducted on chromosomal (Y) DNA or on mitochondrial DNA*. In our case, which one was done? - Mitochondrial DNA. The object itself is so bad that it is much more difficult to establish the chromosome sign in it than the mitochondrial ones, which are a thousand times larger in the cell. - There is an opinion that the comparison on the mitochondrial basis is not entirely reliable. - This is not entirely true. Mitochondrial DNA, in contrast to chromosomal DNA, does not characterize the individual, but characterizes its genetic line, because it remains unchanged in a series of generations. That is, the child will have exactly the same mitochondrial DNA as the mother. The mother has exactly the same mitochondrial DNA as her mother. But exactly the same DNA can also be found in an outsider. For example, one for 10 thousand people. - Does that mean they're related? - No. Let's say you have blood type II. And the stranger from the street is the same. Is he your relative? No. He is another person with the same characteristic. - And in our case what are the chances of a stranger to have same characteristics? - The conclusion says: "The probability of kinship is 99.66-99.84 percent." Approximately one person per ten thousand. - Is that why you question the research on the method of mitochondrial DNA? - This is the reason. But these studies are still considered reliable, since it is difficult to assume that a man with the same DNA got into the grave with the name of of Semyon Zolotaryov. In addition, in your case, maternal analysis is the only possible way. After all, the relationship was established: uncle - nephews. A study of chromosomal (nuclear) DNA allows you to establish kinship only at a very close genetic distance: parents and children, siblings. - There is a version that the brother of Semyon Zolotaryov - Nikolay could impersonate his brother. - The genetic test performed will not give an answer. They are siblings with the same structure of mitochondrial DNA. - And if we had provided a sample of Semyon's son, could we say for sure that this is Semyon Zolotaryov? - Yes. But only if you can find a part with unbreakable chromosomal DNA of Semyon. - Why do the data of the second examination differ entirely from the first results? - They could not get acceptable for analysis results, but gave out for acceptable what was unsuitable. And got the wrong conclusion. In other words, they processed one site, did not find any match in it, and stated that "there is no relationship". But it was necessary to simply say: "Unfortunately, there is no data on this person that we could compare". And they correctly defined the DNA of a living person (niece). And during the re-examination we compared the results obtained from the bone with the niece's already ready results. And they made the opposite conclusion. 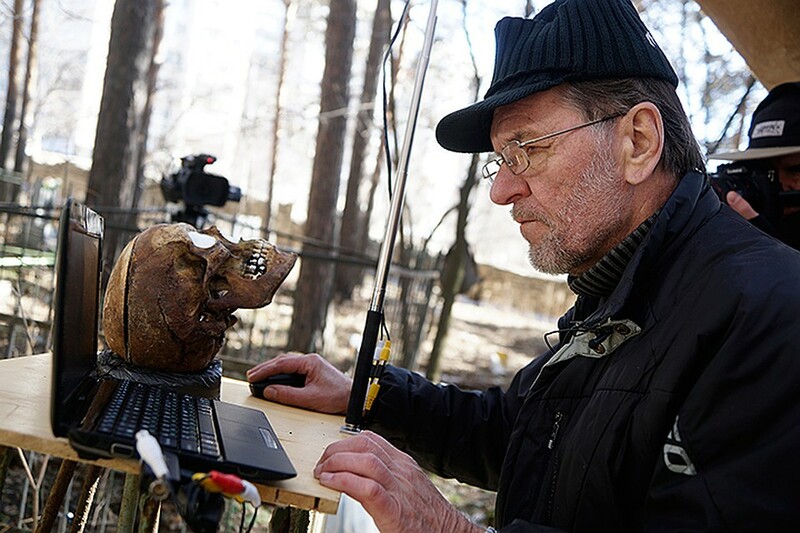 Bottom line the second examination, this time conducted by such an authoritative scholar as Pavel Ivanov, showed that the DNA of the person buried under the sign "Semyon Zolotaryov" matches the DNA of his niece. But this fact does not exclude the version of other researchers suspected that under the name of Semyon his brother Nikolay could be buried, who, according to archival documents, worked with the Germans and disappeared without a trace during the war. Therefore, we can not yet put a end on this investigation. What is chromosomal (Y) DNA and mitochondrial DNA? *Chromosomal (Y) DNA is a strictly male line. A comparison is possible only among men. Women do not have this DNA. Mitochondrial DNA exists in both men and women. In principle: all children of the same mother have the same mitochondrial genes. Both boys and girls. But in the next generation these genes will be given to their offspring only by girls. The boys will also have offspring, but their children will have the genes of their mother, that is, a completely extraneous woman.